Not feeling like blue today? 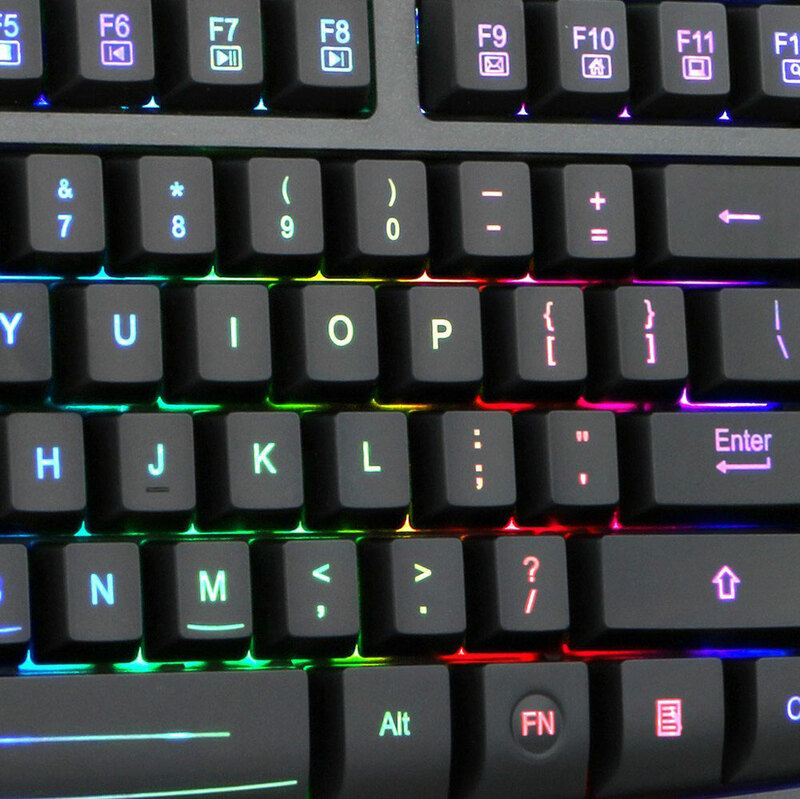 No problem, pick among 7-RGB backlight colours and 6 different lighting modes for all 104 keys. 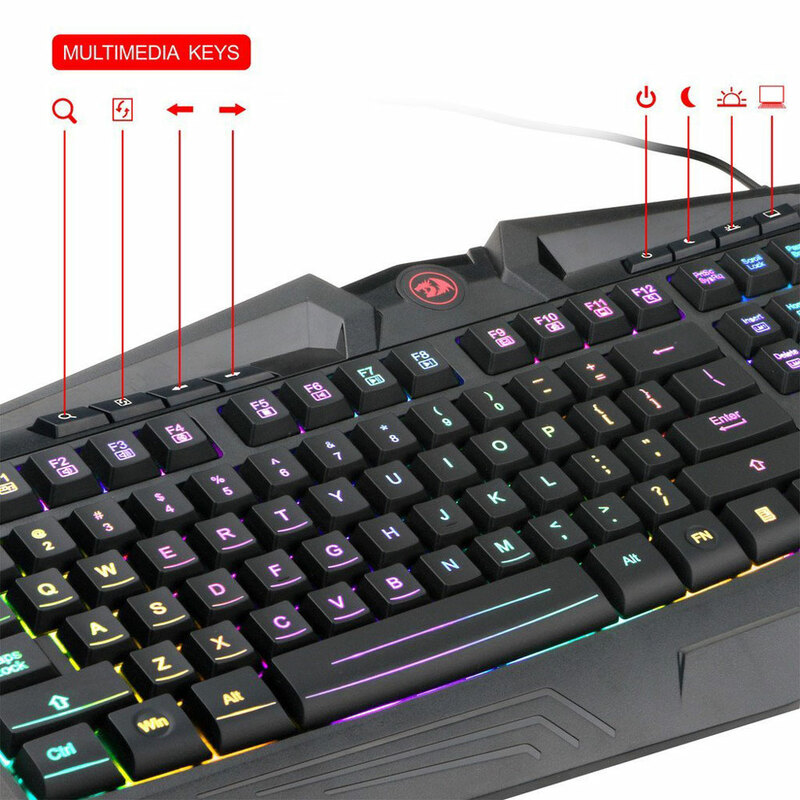 Each key is of the Redragon S101 gaming keyboard is individually RGB backlit for crystal clear display. 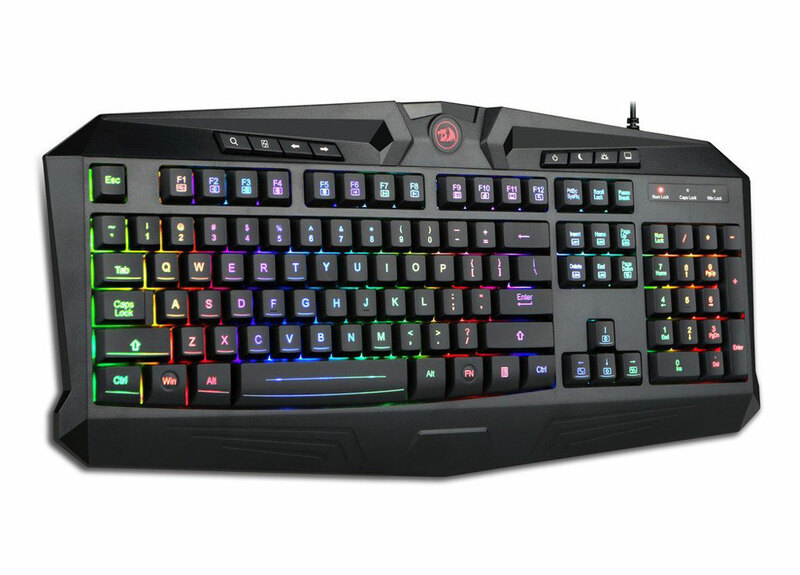 The user has the ability to adjust backlight brightness, breathing speed, or if necessary turn the illumination completely off. 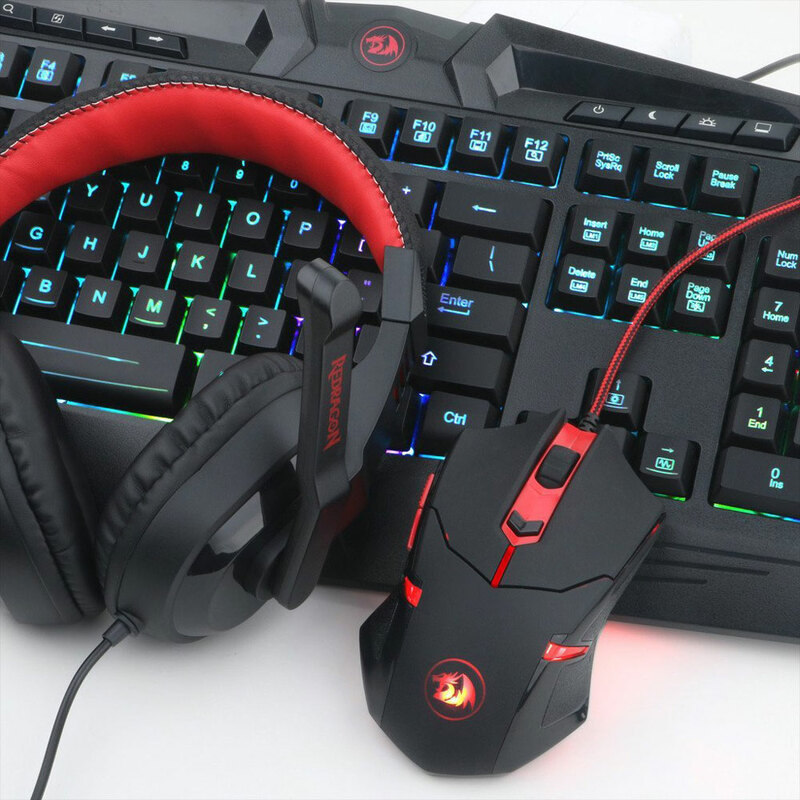 The Redragon S101 keyboard comes with Non-Slip adjustable rear feet for the perfect typing angle. Accidents happen. 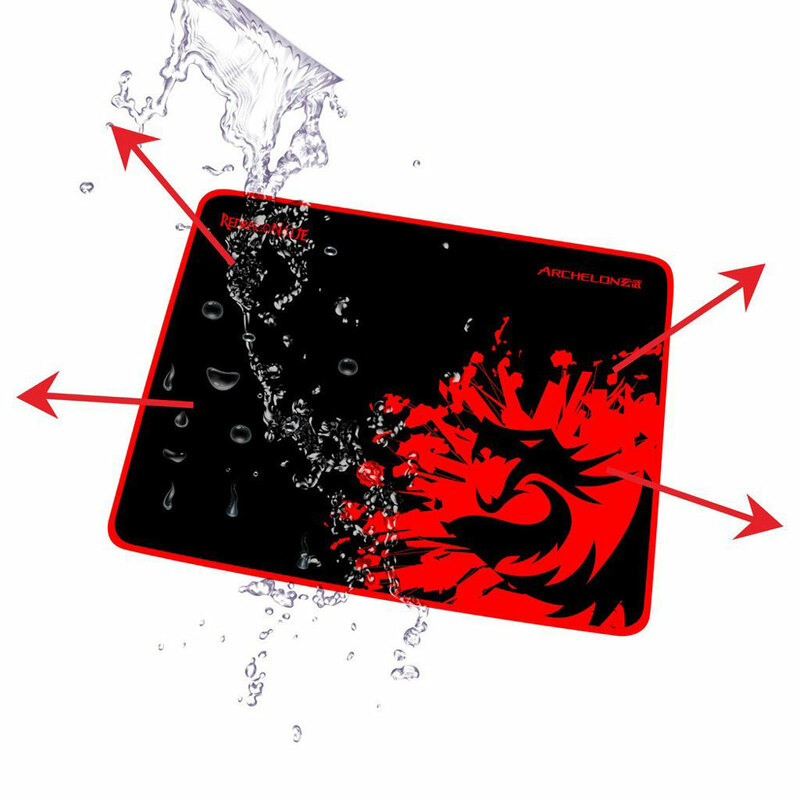 Don't let a liquid spill take you out of the game. 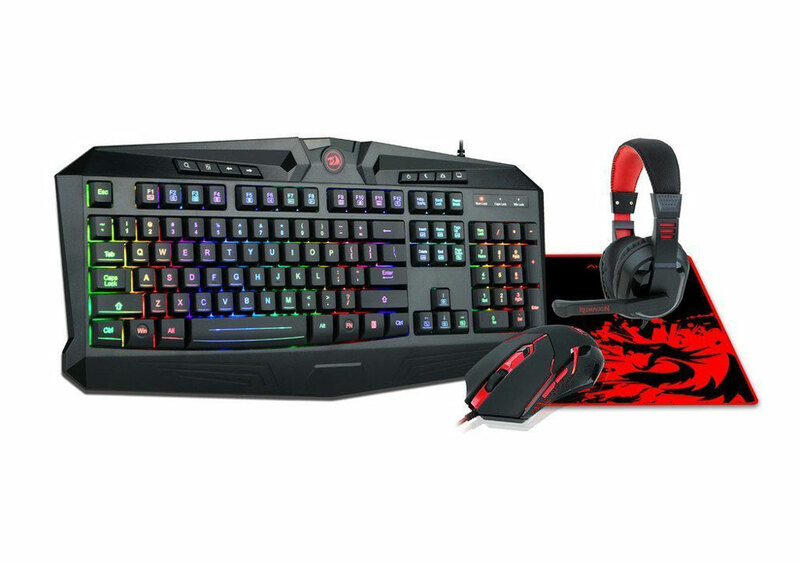 The Redragon S101 Keyboard is built to withstand the average liquid spill. 1. 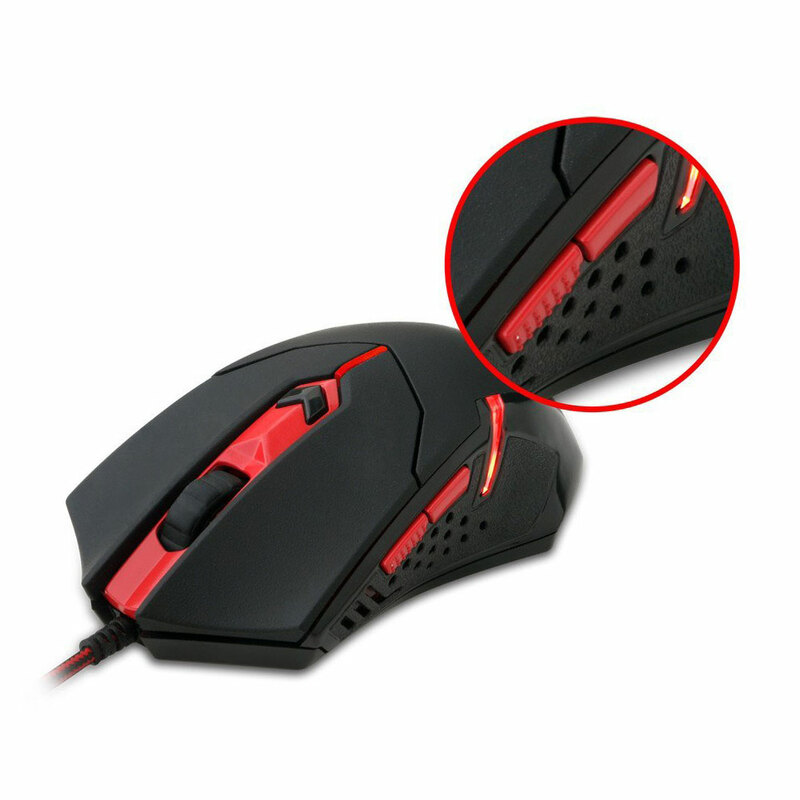 Advanced Optical Sensor with 3200 DPI (800/1600/2400/3200 4 level DPI adjustment)delivering precise tracking. 1. 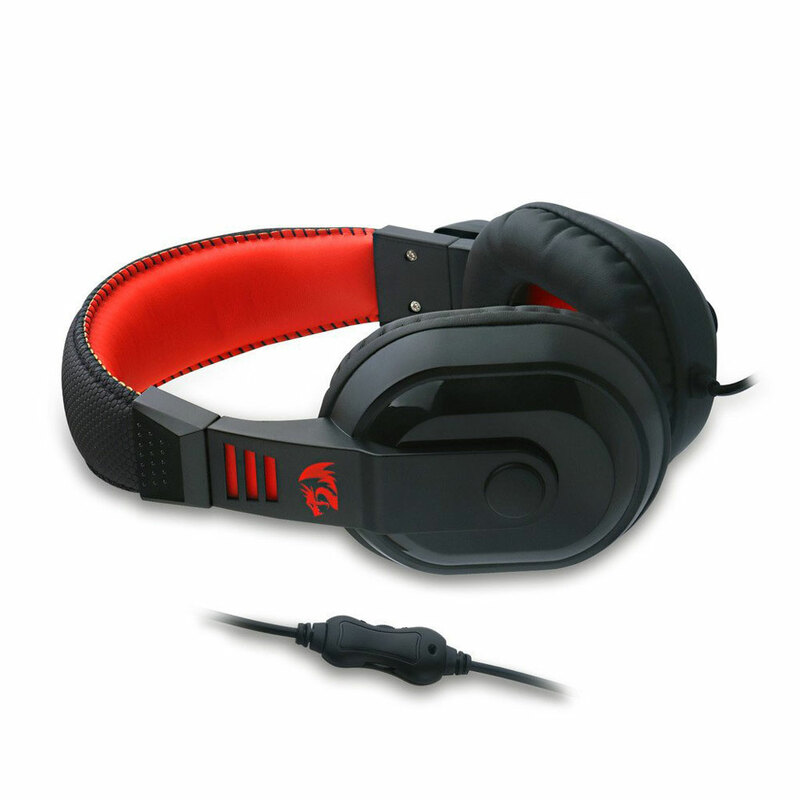 All-new, sleek, lightweight over-ear design with soft synthetic leatherand Signature Memory Foam for ear-cups.